General information about placing materials on reserve can be found on the Placing Physical Materials on Reserve page of this guide. Can I submit requests for someone else? When can I submit requests? Do I need to provide all materials? How will I know when my materials are available? What if some materials aren't available when I submit my request? How will my students access my reserves? How long can students have the materials? Can I see my reserve list before the semester begins? Who should I contact if I or my students are having difficulties or questions? How do I make bookings (reservations) for media materials I wish to show in class? Can I carry over reserves to the next semester? How will I get my personal copies back? How do I get my personal copies back before the semester is over? Books owned by the University Library can be placed on reserve at any library reserves location. DVDs and other media are placed on reserve at the Undergraduate Library. Materials belonging to other institutions cannot be placed on reserve. You are welcome to submit personal or departmental copies of books, DVDs, etc., for reserves using the Reserve Request Form (MSWord). You may place as many personal copies as you wish on reserve. We place call number labels on each item and magnetic security strips inside. Personal copies are restricted to use in the library, except that the instructor can check out media reserves to show in class. Please note that the library cannot violate copyright law, so if there is a question about the validity of a personal copy we may need to clarify before processing for reserves. Please be aware that though the Library takes reasonable precautions to secure your materials, there is a possibility that your personal copies may be damaged or stolen during the course of the semester, and the Library cannot assume liability for replacing these materials. Can I submit on behalf someone else? Teaching assistants, departmental staff, etc. can submit reserve requests on behalf of faculty/instructors. In the Reserve Request Webform, click the "Add an Instructor/Contact" button and enter your name and email. On the Reserve Request Form (MSWord), please provide your name and email in the "Notes" field. Always list the official instructor(s) before TAs or staff. Reserve requests can be submitted at any time for current or future semesters. However, Library-owned materials won't be removed from normal circulation until a month or two before the semester begins. If you are submitting requests that the Library purchase materials for reserves, please submit those as early as possible. Requests for the current semester take priority over requests for future semesters. Be sure to list the exact title, author/director, and edition (if that is important) of each item--inaccurate information can cause delays in processing. It is not necessary to include the call numbers or to bring library-owned materials in yourself, but doing so can help to expedite processing of your list. If you have a syllabus or bibliography with complete citation information, you can submit the Reserve Request Form (MSWord) with just the top section filled in and a copy of the syllabus/bibliography attached. You only need to provide personal copies. Library staff obtain Library-owned materials as part of processing.  If, however, you have Library-owned items already charged out to you, please submit them with the the Reserve Request Form (MSWord) to prevent delays in processing. The staff of each departmental library processes the reserves for that location. You must indicate on the reserve form the location at which you wish the materials to be held. Our online ticketing system tracks all reserve requests. Requests submitted through webforms and email are automatically logged. Requests submitted in person are manually logged, generally the following business day. Our online ticketing system automatically generates a request received email for all requests at the time they are logged. If you do not receive a request received email for any reserves submissions, we did not receive it. You will receive another email from us when your request has been processed. You may receive an additional email between these if we have questions while processing your requests. Often, we have to recall certain books that have been checked out by another patron, which can take three weeks or more. If the library does not own a particular item on your list, we will be happy to attempt to order it. Please note that it can take weeks or months for materials to arrive and be processed. Please submit purchase requests as early as possible. We will notify you of any items that must be recalled or ordered so that you can plan your assignments accordingly, or bring in a personal copy if you own one. Please review your reserves lists the week before the semester begins, so we can resolve any discrepancies before they cause problems for your students. How will my students access my physical reserves? Students may want to check out the Find and Use Course Reserves help page. Students can look up reserves in the Library Catalog. Students need to provide the call number for each reserve item at the service desk where the item is held. Students will be expected to use reserves in the library. Check out laptops or portable DVD players. Books (and other print materials) are normally checked out to students for 2 hours. DVDs (and other media) are normally checked out to students for the length of the recording, rounded up to the next hour to allow time for the student to set themselves up and then to bring the item back to the desk. DVDs with multiple TV episodes are normally checked out to students for 2 or 3 hours. If you would like a non-standard loan period for your reserve materials please include that information in the "Special Instructions" field of the webform or the "Notes" field of the MSWord form. As materials are often on reserve for more than one course we occasionally need to find a compromise solution between multiple faculty/instructors to meet all their course needs. Reserve lists display in the Library Catalog starting one week before the first day of instruction for the semester. If a student has informed you that s/he is having difficulties accessing your reserves, we ask that you check the Library Catalog yourself before contacting us. Once you've verified the situation, please call or email the staff of the reserve location. Please see Undergraduate Library - Media Advance Bookings. All materials on reserve are automatically taken off reserve at the end of the semester unless a request is submitted to carry them over to the next semester. Can I carry over physical reserves to the next semester? For physical reserves from previous semesters, we ask that you re-submit using the forms as we don't have a database that tracks past physical reserves. All personal copies are sent through campus mail to the departmental office shortly after the semester ends (unless you have submitted a request that the materials be carried over). Staff at the appropriate service desk will give you the "Taking Personal Copies Off Reserve" form when you come in for your items, or you can download it below. The staff will later use the information from the form to remove those items from your reserve list, to avoid confusion for your students.